Have you ever noticed the person who walks into a room and radiates confidence? They don’t appear concerned with others’ opinions of them? It doesn’t feel like they are trying to get anything from anyone, yet everyone is drawn to them? Do you wonder how they got all that confidence? Here is a quick exercise for you. You can simply do it in your mind by imagining that you are standing in front of a mirror. As you look at your reflection (you have to be able to see your entire torso), imagine yourself reaching out to try and take something out of the hand of your reflection. If you are like me, you feel a bit of frustration. Why? Your reflection represents another person. Someone you want to get something from. Maybe it’s that person described above who walks in with confidence and self-assurance. Your frustration comes from the illustration that you can’t get from the external (the reflection in the mirror/other person) what you don’t possess inside of you. This is especially true when it comes to validation. The person who walks into the room with the aura of absolute confidence and presence knows this. As humans we all have a desire to be seen and heard. But few of us know that this core desire can only be truly filled in a sustainable, long-term way from inside ourselves – by seeing and hearing ourselves first. In workshops and trainings, I tell managers, supervisors, and leaders that all of their employees (as well as themselves) have an innate desire to be seen and heard. However, when we as leaders are seeking to be seen and heard first, frequently those around us never receive acknowledgement and validation. Then we are all the people in the mirror, trying to get what we most desire from the outside and feeling frustrated. On the flip side, do you know someone, perhaps yourself, who is so determined to be seen and heard that they talk over others in meetings? They are so busy crafting their response or defense that they rarely, if ever, fully listen and consider what is being said? Do you recognize the person who volunteers for every committee, job, task, or meeting to the point of over extension (this was me)? Do you know the person who lives as the victim, always talking about how they are left out, not recognized, under-appreciated and no one sees their talents? Or do you see this manifested in personal lives where someone is so hungry for validation that they are constantly seeking the partner that will make them feel loved. These behaviors sabotage our ability to garner what we most desire – being seen and heard, and feeling truly known and recognized. They are the ineffective attempts of someone screaming to be seen and heard through validation from an outside source. We’ve all been there. But frequently, these are the exact behaviors that prevent us from feeling loved, being promoted, or included on an important team. The constant need for validation actually inhibits others ability to see our value. And in leaders, these are the behaviors that create isolated micro-managers instead of inspirational leaders who motivate, empower and hold people accountable. or fame that shores up their self-esteem. and it can be achieved through other, less destructive sources of motivation. The turn around on this is simple – the execution requires self-awareness and practice. Step One. Own it. Recognize and acknowledge that these behaviors are counter productive and don’t actually get you what you want. Forgive yourself. You didn’t understand it before and now you can turn it around. Amen! Step Two. Notice how these behaviors are actually creating disconnection and sabotaging your progress towards what you most desire – validation. Step Three. 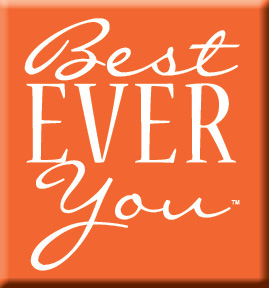 Trust that authentic validation originates from inside us – not externally. It is not something we get from others. We only can authentically get it from ourselves and then, when our internal reservoir of validation is overflowing; we can share it with others. But we MUST do so with no expectation! Step Four. Begin your practice. a. Does it need to be said? b. Does it need to be said by me? c. Does it need to be said by me now? 3. At the end of each day make a list of everything you did well. And then read that list and give yourself a big pat on the back for a job well done! To do a little test of your progress, ask someone close to you if you can email your list to them everyday. Ask them not to respond. No feedback. Then see how you feel when you share it without expectation. Is it challenging? Are you so invested in getting their feedback that it distracts you or upsets you? You may learn some fascinating things about just how much you depend on others opinions to determine how you feel about yourself. 4. Notice others doing little things well. Things you admire. Be sure it is authentic and casually, gently, and subtly start giving out the acknowledgement and validation you used to seek for yourself. Notice how you feel. 5. Pay attention to small shifts and changes in yourself. Are you feeling more confident? Less dependent? Less of a victim? Are you feeling more authentically noticed? Connected? Valued? Do more of what feels good. In this culture of every child getting an award just for showing up, and with so many self-help books telling us that if we are “good enough” we can have joy and bliss every moment, we have forgotten how to tap into the authentic source of validation…ourselves. The only place that we can truly access feelings of contentment, confidence, acknowledgement, and esteem is in our core. The person who walks in the room and radiates self-confidence isn’t trying to get anything from anyone. They are tapping into the reservoir of self-validation that they created. They are curious learners and not clamoring to get anything from others. Which would you like to be? ​Have you had to work with that person who is too valuable to fire but whose communication and leadership style continually make others cringe and put the company at risk? 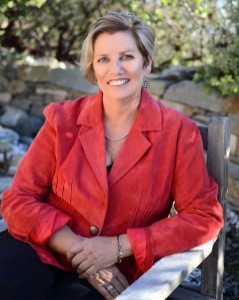 Beth Wonson’s unique combination of experience as a business leader, a non-profit leader and 20 years consulting on team development, organizational change and coaching leaders, make her the go to person for transforming personnel liabilities into personnel assets.